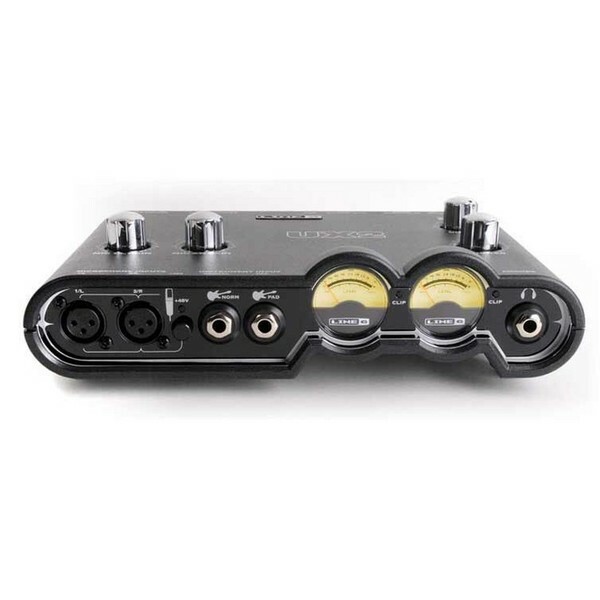 The POD Studio UX2 is a compact and powerful audio interface. 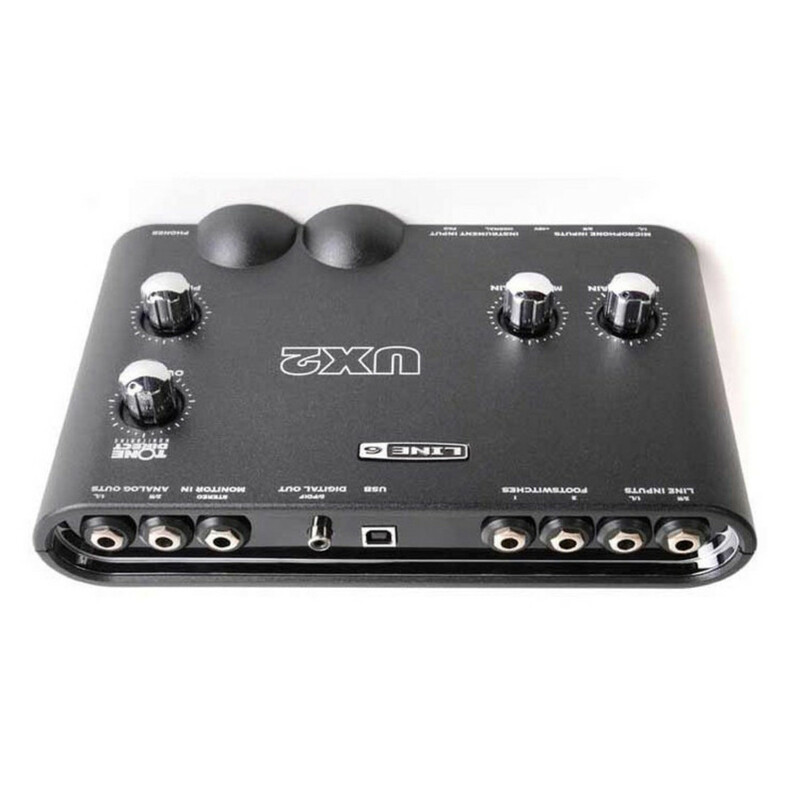 It combines the stunning Line 6 sound of POD Farm 2 plug-in with a USB interface. Mix and match amp, effects and preamps to find your perfect tone and use Line 6's Tone Direct for perfect recording. The Line 6 UX2 is rock solid and ready to go. 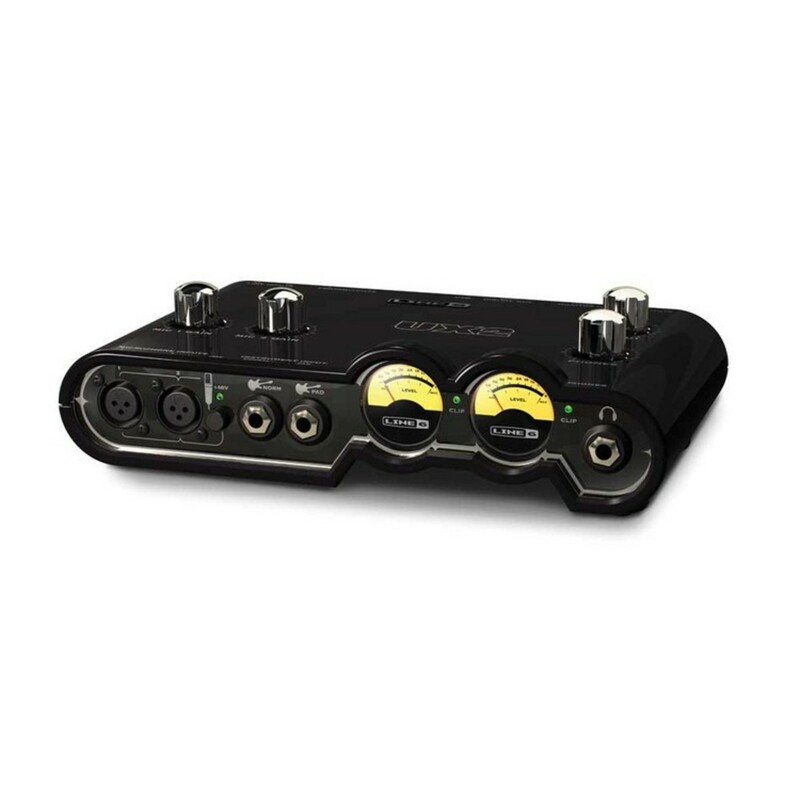 Extremely easy to use, it has a super-quiet 1/4" guitar input, 1/8" headphone/line output and volume knob for instant straight forward recording. The POD Farm 2.5 plug-in features tons of models ready to feature on your pro sounding tracks. Over 80 fully adjustable guitar amps, bass amps and preamps are at your disposal. From vintage classics to modern monsters the POD Studio UX2 is primed to deliver powerful Line 6 tones to your DAW. There are also a number of additional model packs which can be purchased from the Line 6 website if you decide you need some extra tones. User friendly and intuitive, simply drag and drop models into the signal flow, pre or post amp. The carousel style gear browser displays a dream collection of amps and effects for you to choose from. Each fully adjustable model is fully tweakable so you can find your perfect tone incredibly fast and easily. If you want to get playing quick, over a thousand presets provide timless tones in an instant. 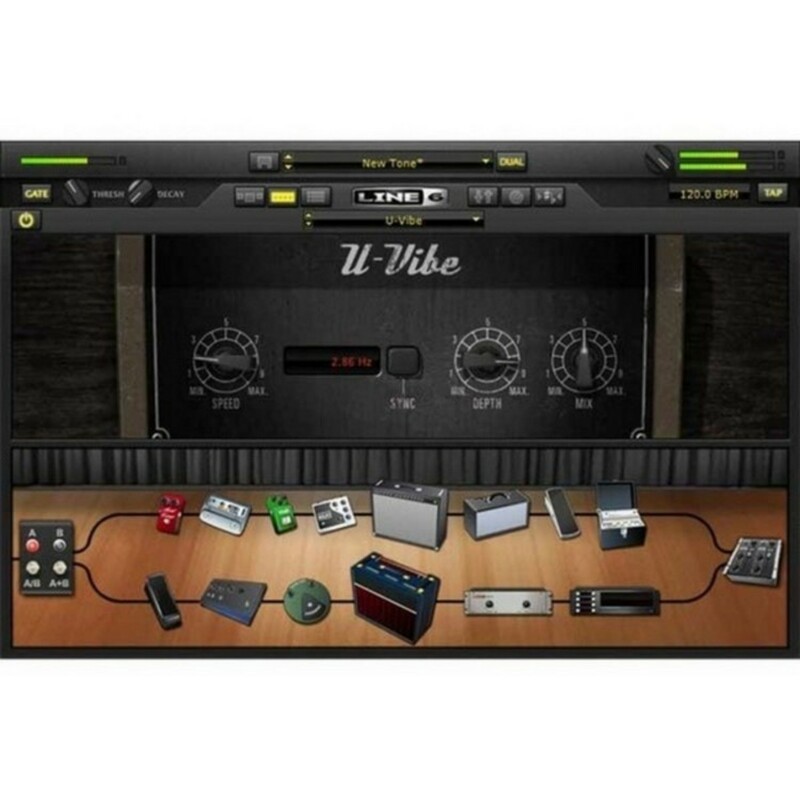 To view the full list of included models with the Line 6 Studio UX2 take a look at the PDF below. 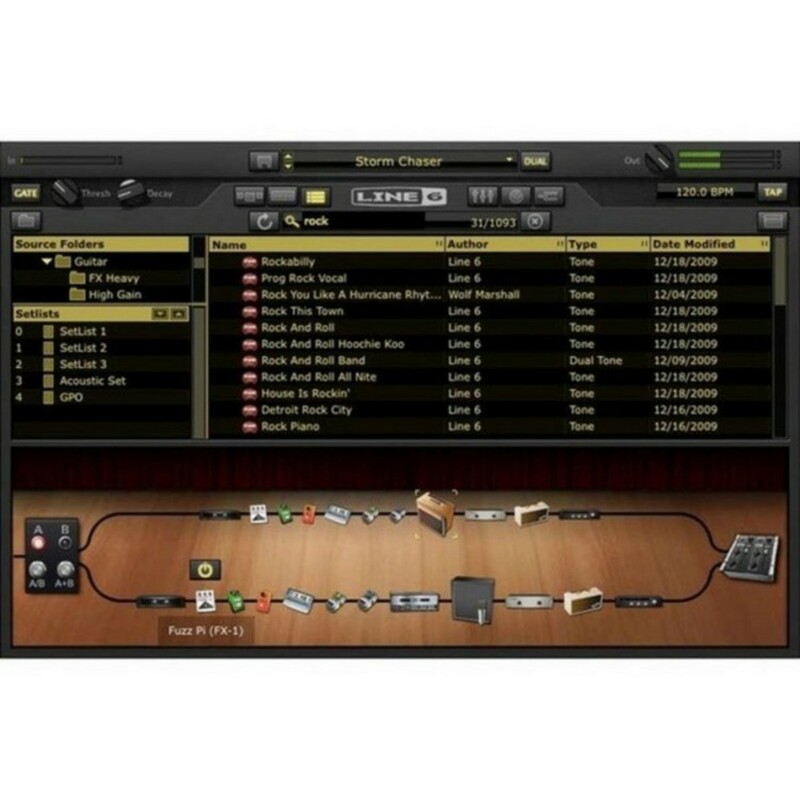 There are many features which make the POD Studio UX2 the professionals' choice when it comes to recording. With 12dB more dynamic range than similar interfaces, the POD studio UX2 is extremely low noise. Latency is a thing of the past with Line 6's exclusive Tone Direct monitoring. 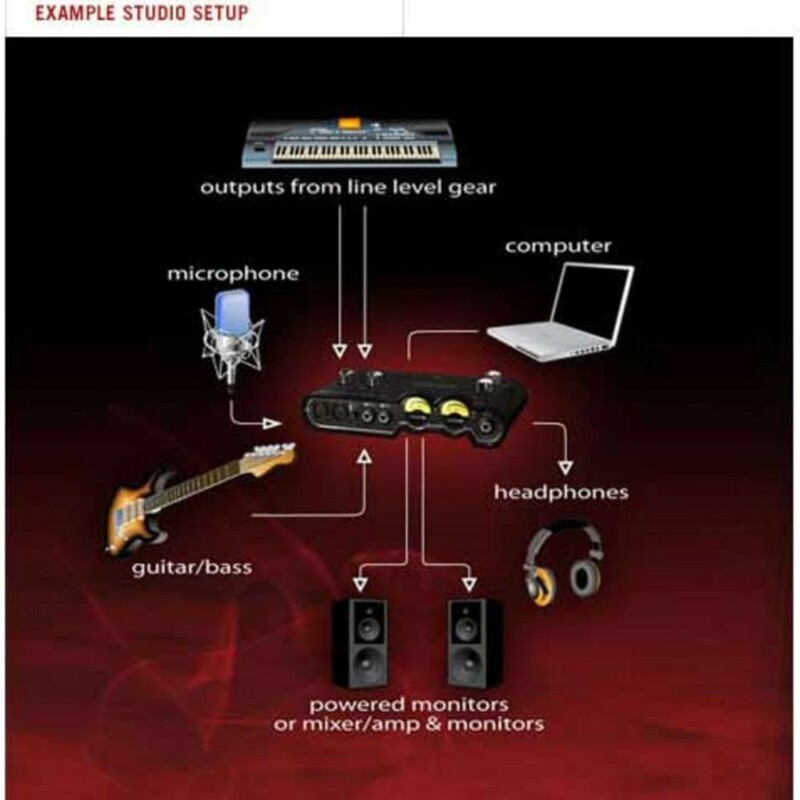 This allows you to record using amp and effect modelling without sacrificing tone or feel. With 44.1/48 kHz 16-/24-bit recording (88.2/96 kHz with sample-rate conversion) the sound is pro studio standard. You can also record a dry signal while monitoring a fully processed POD tone so you arent forced to commiy to a tone until you are completely sure. The UX2 is light, solid and ideal for use with Ableton Live®, GarageBand®, Pro Tools®, Logic® and many other recording platforms. It is compatible with USB 1.1 and 2.0.